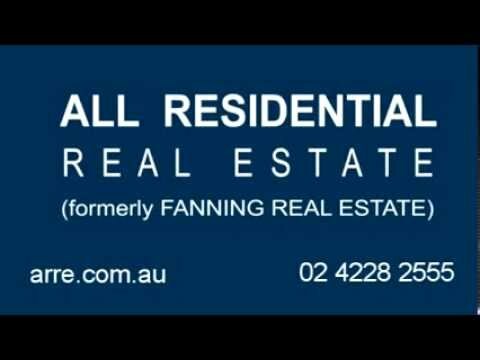 Located in the Local Government area of Wollongong, Balgownie is approx. 3.6sq km in area. A desirable community with many properties having spectacular views towards the ocean, major features of the area include the Illawarra Escarpment State Conservation Area, Alpini Park, Baden Powell Park, Balgownie Park, Blaker Park, Dave Masters Park, Duncan Park, Farrell Park, Harrigan Park, James Pearson Park, Judy Masters Park, Tarrawanna Soccer Oval and two schools. It stretches from the lower slopes of mount Keira along the Illawarra Escarpment to the base of the Broker’s Nose promontory. It has a lively and quaint commercial centre known as Balgownie Village which offers The Bally Pub, Village Patisserie, Urban Grind café and the War Memorial. Also to be found is the Balgownie Public School Museum and plenty of excellent restaurants including Il Nido and Il Porcellino who feature both Australian and Italian cuisine. In 2006, the population of Balgownie was 5,041 with the largest sector being people between 40 and 49 years of age. The majority of the population are not in the labour force, and of those employed most are professional who drive to work by car. There are approximately 1,820 dwellings, with the majority of these (77%) being a single family house. 47.3% of properties in the area are fully owned, with 28.4% of the properties being purchased and 78% being owner occupied. Married people comprise 77% of the population and households in Balgownie are mainly couples with no children. There are 9 Parks, 4 Child Care Centres and a Primary School. Additional local amenities include 2 Clubs, a Post Office and 2 Churches of different denominations. The median sale price of Houses, Units and Vacant Land in Balgownie is $454,543 compared to $387,055 for the Local Government Area of Wollongong. Balgownie Road is the main thoroughfare and connects the suburb to the nearby Princes Highway. Similar in history to many of the towns on the NSW South Coast, Balgownie was first settled in the 19th century and was a thriving centre of logging, mining and farming. With the arrival of the economic and population grown of the 20th century, Balgownie has gone from a small country hamlet to a large residential suburb. As a result many of the open spaces and paddocks that previously greened the area are now residential developments. With the economic and population growth of the 20th century Balgownie was overtaken by the expanding urban sprawl and transformed from a small country hamlet to a residential suburb. There is great economic diversity in Balgownie with properties ranging from multi-million dollar mansions on the escarpment to public housing estates in the east. Also of interest is that Balgownie is home to Australia’s older soccer club, the Balgownie Rangers, founded in 1883.